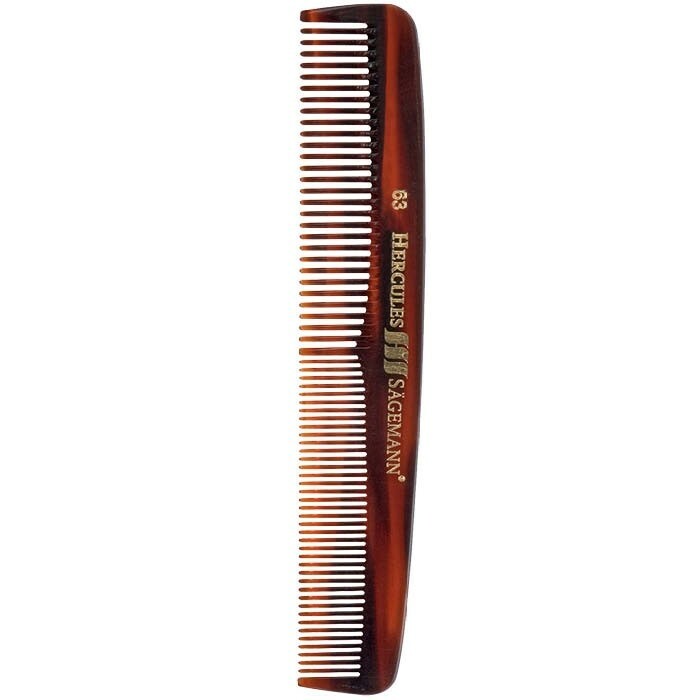 High quality mens hair comb is crafted in Germany and offers excellent gliding and gentle care to your hair. Made from purified natural cellulose, a non petrolium based plastic, it features a strong yet flexible body and causes less static. 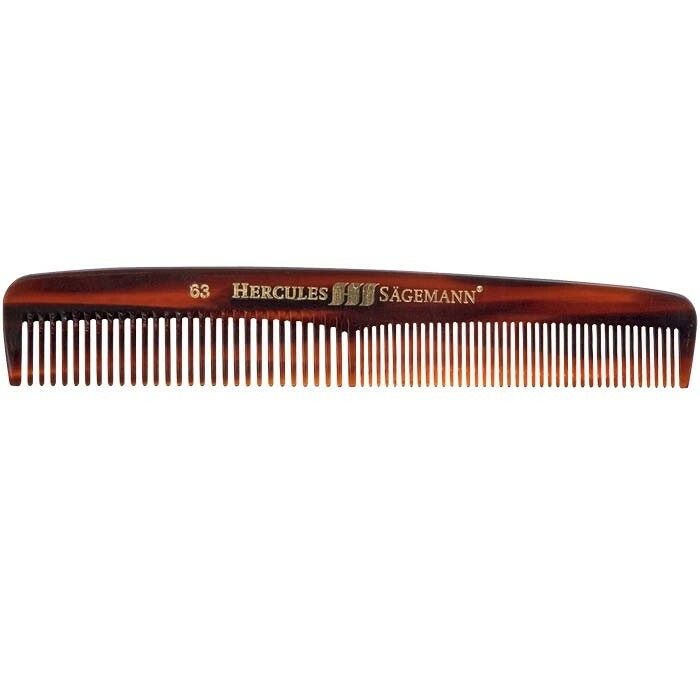 This Hercules sawcut comb is perfect for general hairstyling, detangling and gentle massaging of the scalp. Rounded teeth are saw cut and give a soft stimulating effect, which will particularly benefit men with thinning hair. 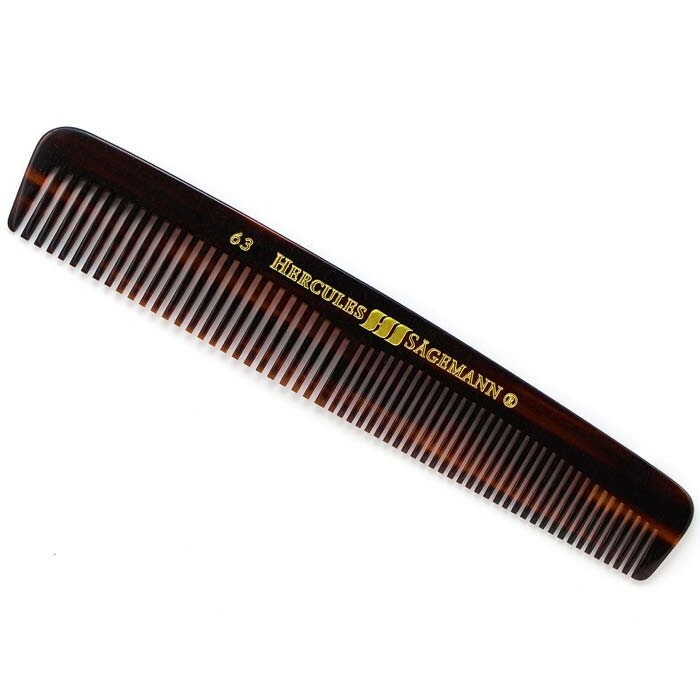 Durable and heat resistant, this is the best hair comb to add to your grooming kit. Length: 6” / 15.5 cm. 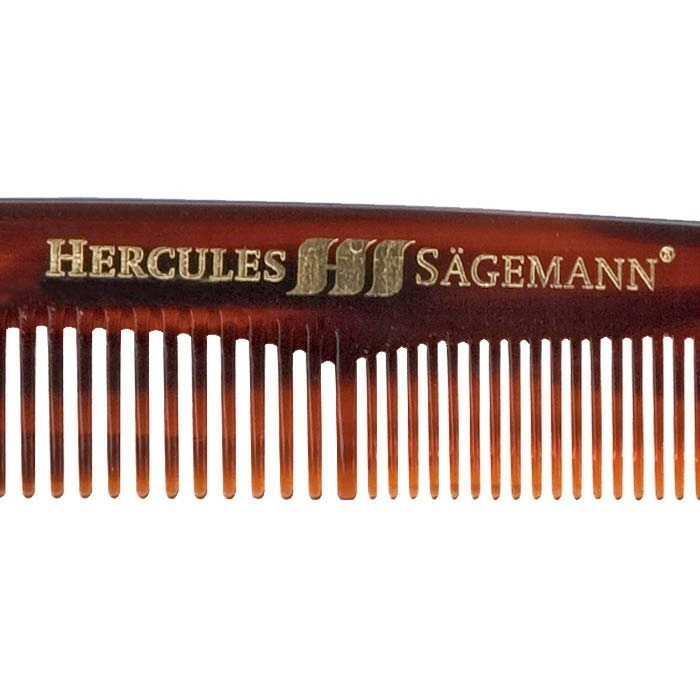 Hercules Sagemann Sawcut hair combs for men are considered among the best in the world and for a good reason. They are crafted in Germany and meet the highest professional standards. Perfect gliding through the hair and saw cut rounded teeth make them the best combs for those who care not only about removing the knots, but also leaving hair look and feel its best. Rounded and polished teeth do not damage the hair. Instead, they smoothen the top hair layer so the cuticles lay flat, thus creating more silky shine. Gentle stimulation of hair follicles supports healthy hair growth and production of essential oils, responsible for natural nourishment of the hair. 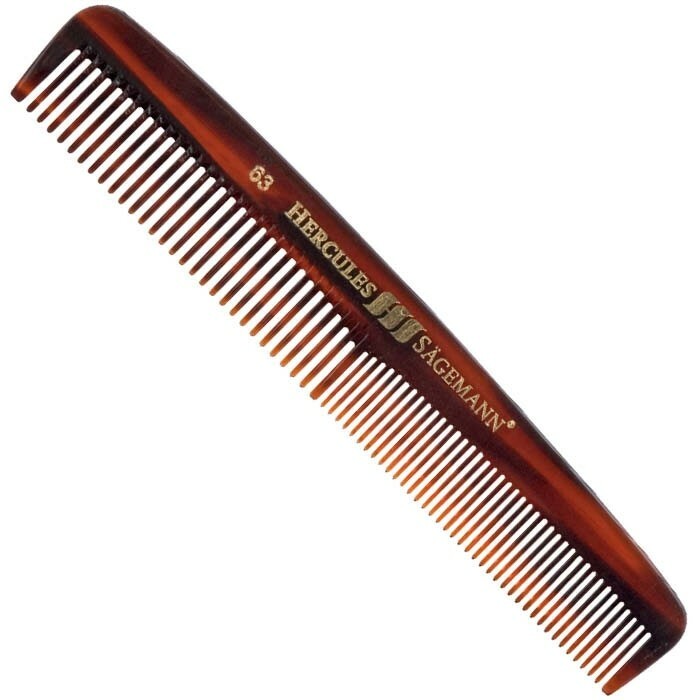 This cellon men's comb is a highly popular among men who trust their coiffure only to the best German quality comb. It suits all hair types and lengths, and is ideal for hairstyling, detangling and spreading hair products, like hair pomades. Length: 6” / 15.5 cm.